St. Vincent Hospice Services, Inc. hospice care focuses on improving the quality of life for patients and their families faced with a life-limiting illness. 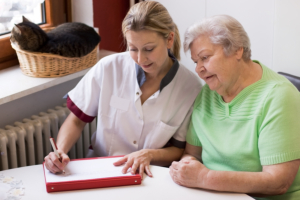 The primary goals of St. Vincent Hospice Services, Inc. hospice services are to provide comfort, relieve physical, emotional, and spiritual suffering, and promote the dignity of terminally ill patients, to improve quality of life. We believe that hospice care is a philosophy or approach to care rather than a place. 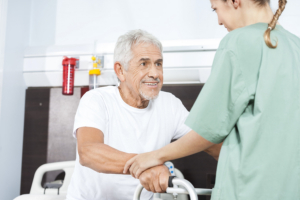 The patient’s care may be provided in a patient’s home or nursing home. Hospice care is holistic: our mission is to treat the whole person, not just the disease. We focus on the needs of both the patient and the family. 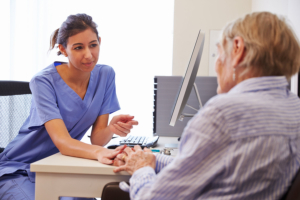 Our health care team attends to practical needs such as insurance coverage, transportation, and assistance with bathing in addition to emotional and spiritual needs such as caregiver stress, grief, and fear of dying. Our philosophy is: focusing not only on the body but most importantly on the soul of our patients. Provide 24/7 services including weekends. We are in touch with our patients 24/7 and we respond really quick addressing all their needs. We understand that our success depends on the level of patient/family’s satisfaction and their feedback. The hospice team functions as an interdisciplinary team with a coordinated plan of care. We consider the patient and family as integral members of the interdisciplinary team. Regular team meetings and frequent communications among clinical staff and with the patient’s primary physician ensure that patient and family needs and goals are met and constantly reassessed. Members of the hospice team involved directly in interdisciplinary care to the patient and family include the primary physician, hospice physician, nurse, social worker, chaplain, home health aide, and volunteers. Additional team members may include occupational or physical therapist, psychologist, art and music therapist, pharmacist, and nutritionist. Provides the hospice team with medical history. Oversees medical care through regular communication with the hospice team. Provides orders for medications and tests, signs death certificate, etc. Determines his or her level of involvement on a case-by-case basis with the hospice medical director. Provides expertise in pain and symptom control at the end of life. Works closely with the hospice team and primary physician to determine appropriate medical interventions. Makes home visits on as needed basis. May oversee the plan of care, write orders, and consult with patient and family regarding disease progression and appropriate medical interventions on a case-by-case basis. The DON ensures quality of patient care in the patients’ residence. Coordinates care with the interdisciplinary team, patient/family and referring physician/organization. Monitors and analyzes QA/PI issues and directs clinical staff with regard to agency policies and procedures. Make’s supervisory visits to the patient home. Visits patient and family in the home or nursing home on regular basis (biweekly to 3-4x per week, depending on needs of patient). May provide on-call services (24 hours a day, 7 days a week for emergencies). Assesses pain, symptoms, nutritional status, bowel functions, safety, and psychosocial-spiritual concerns. Educates patient and family about disease progression, use of medications, daily care needs, and other aspects of the overall plan of care. Educates and supervises nursing assistants. Provides emotional and spiritual support to patient and family to cope with functional limitations, caregiver stress, and grief. Assists patient with activities of daily living such as bathing and dressing. Provides a variety of other services depending on assessment of need. Attends to both practical needs and counseling needs of patient and family based on initial and ongoing assessment. Arranges for durable medical equipment, discharge planning (from hospital to home), and funeral/burial arrangements. Serves as liaison with community agencies (such as Department of Human Services, Department of Aging, and Public Aid office). Assist family in finding services to address financial needs and legal matters (Power of Attorney, Wills). Provides counseling related to family communication. Assesses patient and family anxiety, depression, role changes, and caregiver stress. Provides patient and family with spiritual counseling to address questions of hope, meaning, despair, fear of death, relationship with divine, need for forgiveness, loss of life purpose. Assists patient and family in sustaining their religious practice and in drawing upon religious/spiritual beliefs to cope with illness, dying, and grief. Ensures that patient and family religious or spiritual beliefs and practices are respected by the hospice team (e.g. dietary restrictions, rituals to be observed at the time of death, disposition of the body). Serves as a liaison with the patient/family faith community and clergy. May conduct funeral and memorial services for patients and families as requested. Provides hospice staff with spiritual care and counseling. For more information about our agency and what we stand for, please reach out to our trusted representatives today! They would be more than happy to offer you some assistance. All you have to do is call 626-796-1922 or send a message to stvincent3777@gmail.com.